As an insurance services attorney, Logan Haine-Roberts primarily represents clients in commercial insurance coverage litigation. He has also advised clients on matters involving bad faith. 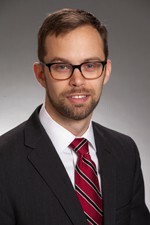 Prior to joining Hinshaw, Logan was an associate at a law firm in Washington, D.C. where he was a member of the firm's insurance coverage group. During law school, Logan served as Senior Notes and Comments Editor for the University of Miami Law Review. He also interned with Magistrate Judge Alan Kay of the U.S. District Court of Washington, D.C., the U.S. Securities and Exchange Commission's Miami Office, and the Library of Congress's Congressional Research Service in the American Law Division. Before starting law school, Logan spent time teaching English in Washington, D.C. schools and abroad in Japan. After returning to the United States, Logan worked in a Washington, D.C. law firm as a paralegal where he assisted with insurance coverage, medical, and real estate matters.